Ahead of the release of their 40th anniversary double-disk album, Blondie has unveiled their new video for their single "Sugar On The Side" on Hunger TV. Directed by Rankin, this striking video shares its concept with front-woman Debbie Harry’s bold Issue 5 cover shoot for Hunger Magazine last year. Shot in monochrome and mixing kaleidoscope and geometric visuals, ‘Sugar On The Side’ sees Harry embody two contrasting looks and personas. The track features Caribbean collective Systema Solar. ‘Sugar On The Side’ is a track from their new collection of songs entitled Ghosts of Download, part of the band’s 40th Anniversary double-disc package, Blondie 4(0) Ever, which also includes an album entitled Deluxe Redux: Greatest Hits featuring brand new studio recordings of the band’s biggest songs which will drop May 13th. The album is available now to pre-order on iTunes, Amazon and Best Buy. Fans who pre-order the physical package through Amazon or Best Buy can choose amongst the Standard, Deluxe or Vinyl LP options. 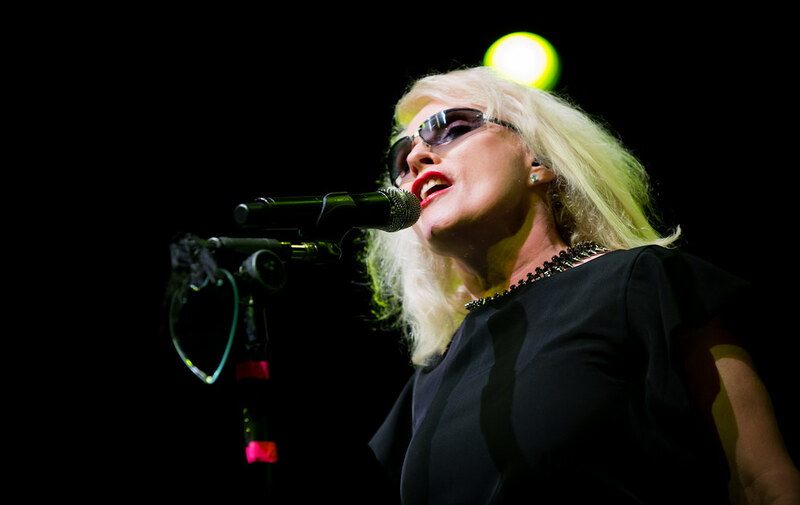 Next month, Blondie heads out on their U.S. tour before crossing the pond for their European tour. Click HERE to view the video on Hunger TV.